There's something strange in Xbox Live's hood - it's our next co-op night! 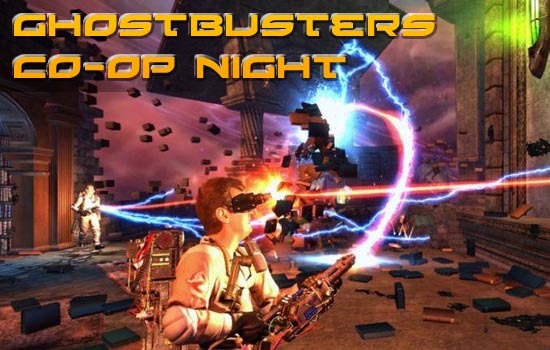 We're getting together for our next official Co-Op night on Xbox Live with Peter, Ray, and the whole Ghostbusters crew. Want to join up? We'll be playing on Thursday, July 9th at 8PM EDT. To join up use the build in match making to find other gamers playing co-op. You can also send a friend request to cooptimus and use the friends of friends feature to find other busters. Update: Look for gamertag bapenguin as well - I'll be playing for quite some time! 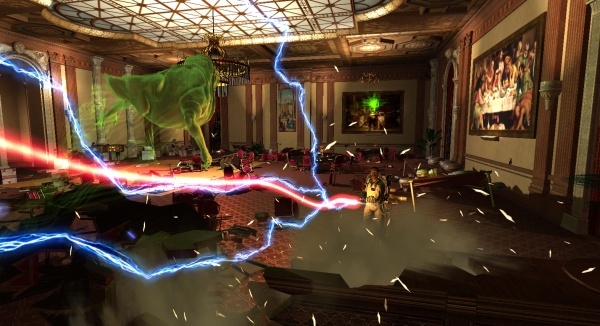 The Co-Op Experience: Co-op play allows players to play as a member of the Ghostbuster team through online missions different from the single player story. Money and Equipment are persistent from game to game. The following modes are available. Instant Action: players can test their mettle in a variety of Job Types across a selection of 12 different maps to see if they've got what it takes to be a true Ghostbuster. Xbox Live Campaign Mode: players work through one of four different environments busting ghosts to earn cash and upgrade their equipment. Going Full Stream - Awesome New Ghostbusters Trailer!